These offers are free with the purchase of the BSA Star 16" Bicycle. BSA is the flagship brand of leading Indian Bicycle Manufacturer T.I Cycles of India. Freedom, Fun, Energy, Style and Comfort are the values adopted by the brand. 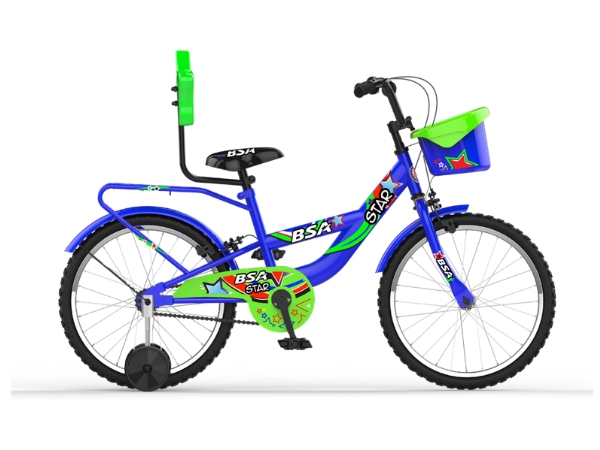 The BSA Star 16" comes with a low step through frame, an integrated carrier, colourful star themed graphics, a soft and spacious saddle and 16" tires with sturdy training wheels. The price of the BSA Star 16" is Rs.3,487.5. 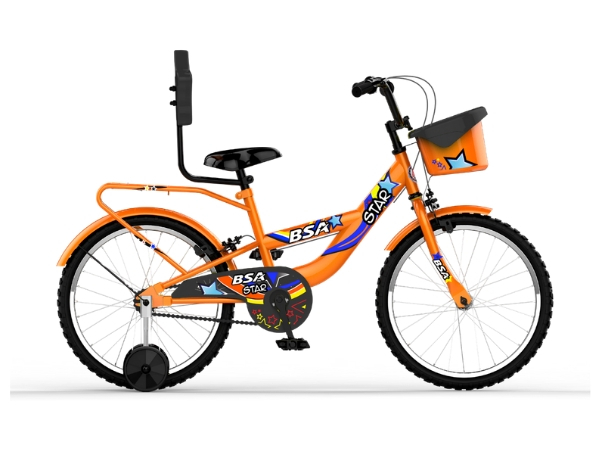 The BSA Star 16 is ideal for children aged between 4 to 6 years. This bicycle is perfect for riding around the house compound or on empty neighborhood streets. 2. In what condition will I get the BSA Star 16"? 6. How will I know if BSA Star 16" will fit me without riding it? 7. How long will it take for me to receive the BSA Star 16"?